With the holiday season in full swing, our little corner of the world is looking more like Santa's workshop more each day. Here's a few cookie and gingerbread doghouse photos while I eat my "go-to" lunch: cheese sandwich. It's not glamorous, but it works. Break's over, back to work! What is National Pit Bull Awareness Day? 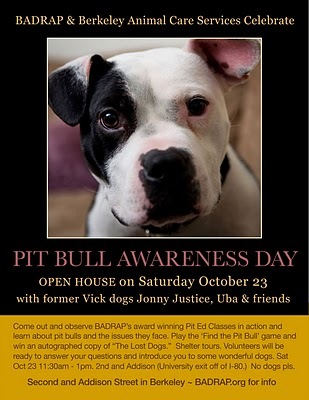 In the midst of continuing Breed Specific Legislation (BSL), it's time for responsible Pit Bull Owners to take a stand. Let's band together and show the world how wonderful this breed is. 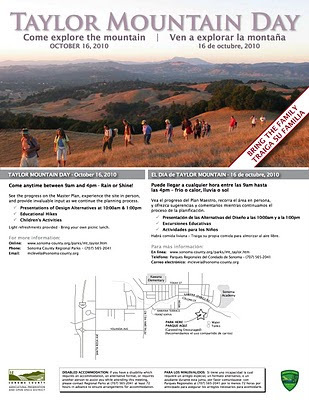 Another new regional park in Sonoma county, Taylor Mountain is located in Santa Rosa. Tomorrow, Sat. October 16, the park is open all day to visitors...we'll be there for sure. Come anytime between 9am and 4pm - Rain or Shine! See the progress on the Master Plan, experience the site in person, and provide invaluable input as we continue the planning process. Light refreshments provided - Bring your own picnic lunch. We're restyling our bake-at-home biscuit kit packaging. Tres chic, no? Still the same people-quality organic ingredients, now with more dash. Gift-giving season is upon us and we all know folks who still love to bake...try one of ours. 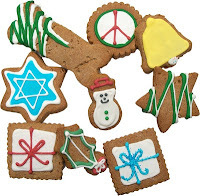 The kit comes complete with a cookie cutter, all you need is some free time and desire. The dogs will love you for it! Celebrate the double digit months by doubling down on two of our best-selling treats that are simply perfect for now. Buy 1 package Double Pumpkin Happiness biscuits and 1 package Sweet Potato & Ginger Snaps and save over 15%. Both flavors are full of beta-carotene rich pumpkin and yams. Most excellent for senior dogs and pups of all ages. Made with organic people-quality ingredients, both these biscuits recipes contain bilberry fruit and amazing ginkgo for good eye and vision health and well as clear thinking and memory support. Two super snax! on sale now. overdue website updates + incentives! 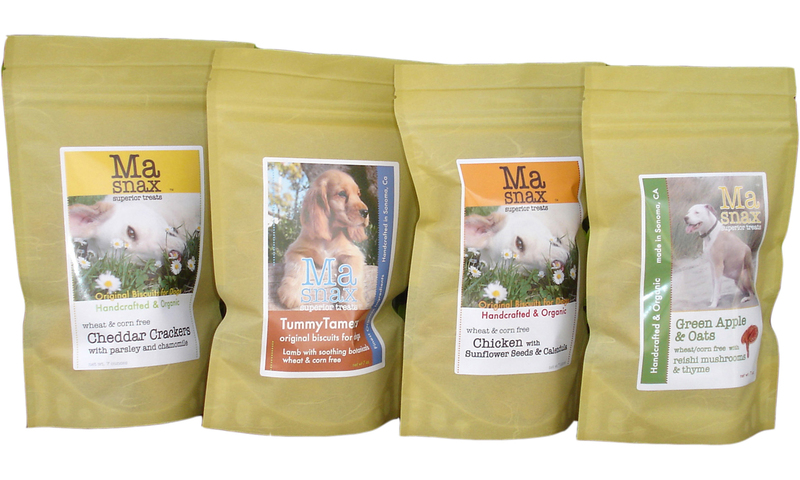 Just updated our site's retailers and press pages...it's been a while! 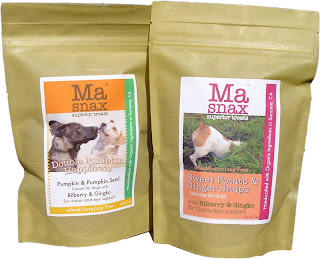 So, if you read this post and you can't find a nearby store that sells our snax, good heavens let them know you need Ma Snax! If the store turns out to have the wisdom and excellent sense to stock our treats, we'll send you a free pack of snax. It's the least we can do. It's all about referrals, no? Just a quickie to thank Organic Products Retailer magazine for listing our newest snax: Nuts About Grain Free-Super Peanut treats in the September issue. 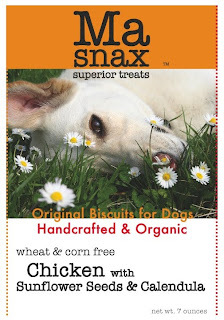 These are quickly becoming a great selling snack, so many people want to keep grains out of their dogs diets. 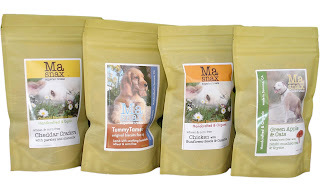 Ours are chock full of fresh ground roasted Valencia peanuts, organic sunflower, pumpkin and sesame seeds, organic flax seeds, hemp oil, cage-free eggs, and organic chick pea flour. Nice and crunchy; aromatic and fresh. 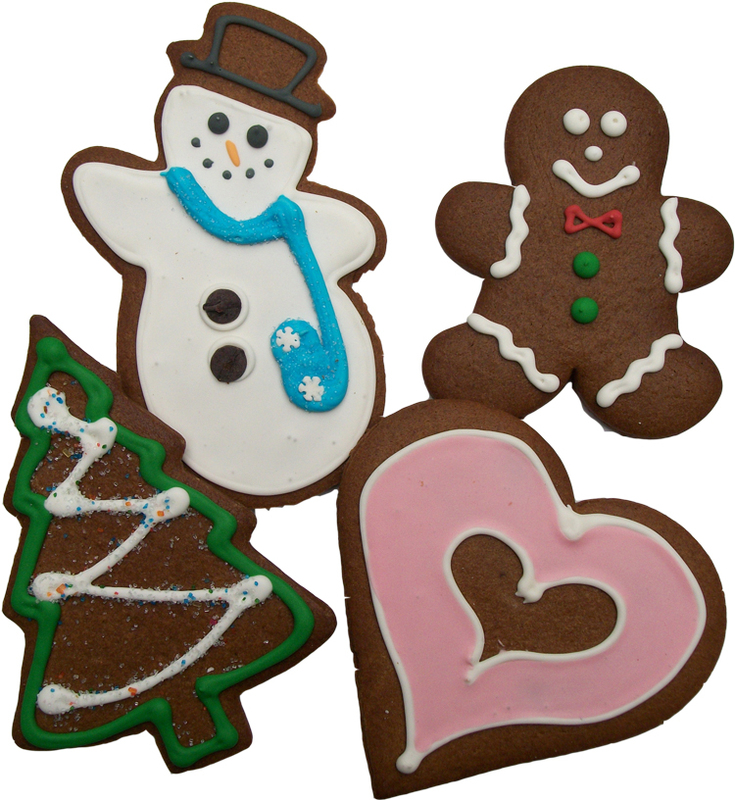 We bake them in bulk or in packaged. thanks DoggyDessertChef for listing our healthy and fun Carrot Calendula Cake. Doggy Dessert Chef features excellent recipes for the DIY dog treat maker...well worth following...cheers. 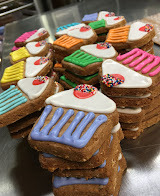 We think it's great that people love their dogs enough to thoughtfully create and prepare recipes for cookies, cakes, food and snax. If it's August, it must be Chicken, Sunflower Seed & Calendula Biscuits. 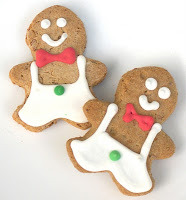 Just a quick post to announce our [somewhat belated] Treat of the Month update. Save 15% online all August long on this most outstanding snack. Baked with homemade chicken broth, organic sunflower seeds, whole organic calendula flowers [nature's healer] garlic, flax, rolled oats, brown rice, barley and oats flours-all organic and people-quality of course. Savory and toothsome. 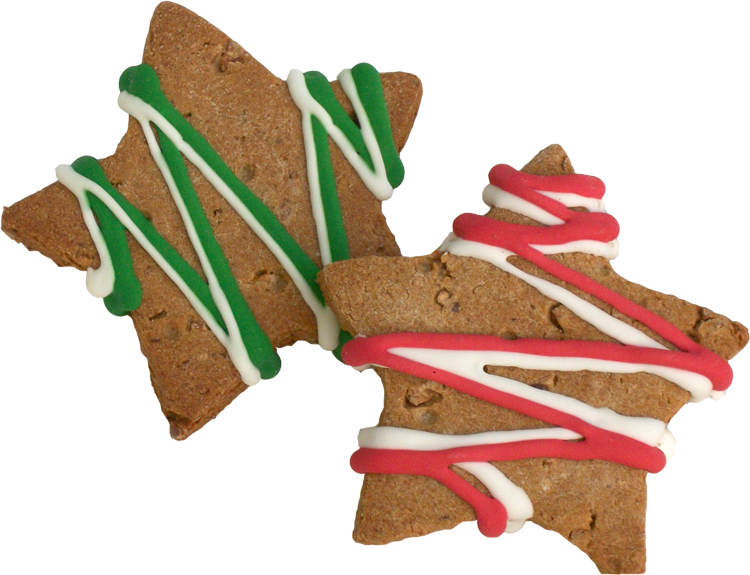 A very popular biscuit! 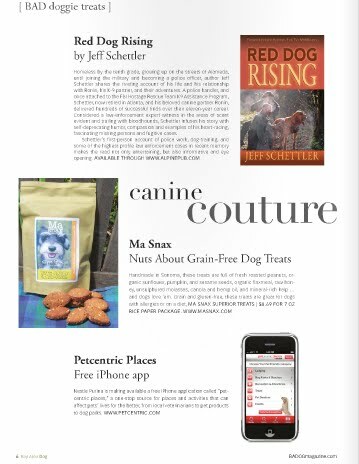 While we're here, thanks to the great bloggers and pet publications who've featured us lately. Our "Nuts About Grain-Free-Super Peanut Biscuits" are on fire. And thanks to Pawssentials for listing us as well alphabetically under treats, of course]. BLUEBERRY POWER SNAPS: Our treat of the month for July. Enjoy a 15% discount online all month long. 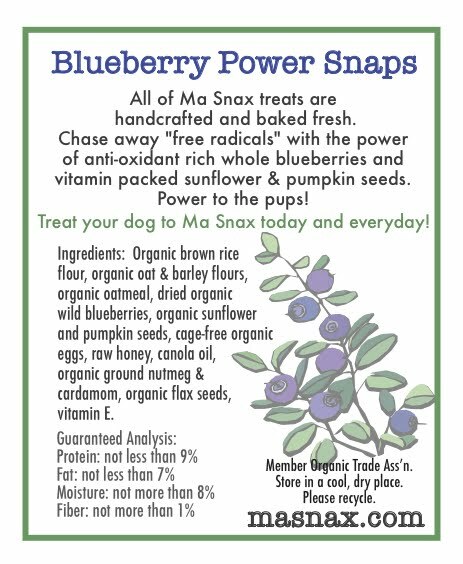 Blueberry Power snaps are one of our most popular biscuits. They're quite delicious, I admit ray and I confess Ray and I snack on them quite often. Of course, we make most of them available for the dogs. Freshly baked, a bit exotic and aromatic with organic ground nutmeg and cardamom. Baked with a touch of raw wildflower honey. 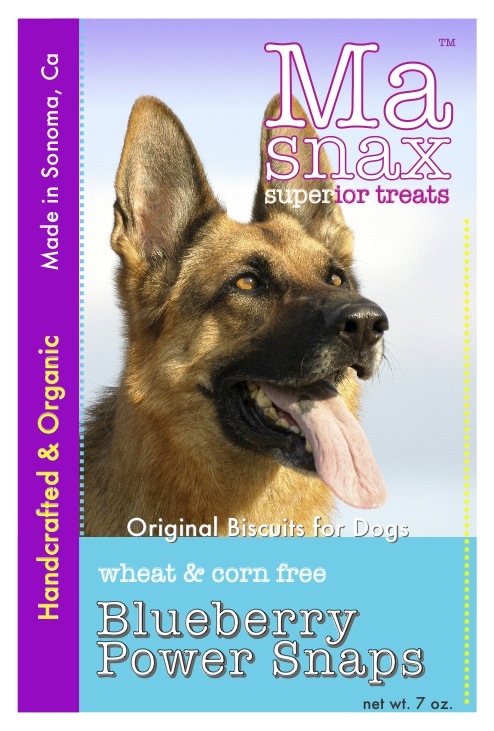 The organic whole dried blueberries are simply fantastic and sooo good for dogs. Chock full of health-maintaining and disease-preventing anti-oxidants, blueberries provide numerous health benefits. Blueberries [especially wild varieties] contain anthocyanins, other antioxidant pigments and various phytochemicals possibly having a role in reducing risks of some diseases, cancer among them. Researchers have shown that blueberry anthocyanins, proanthocyanidins, resveratrol,flavonols, and tannins inhibit mechanisms of cancer cell development and inflammation in vitro. Similar to red grape, some blueberry species contain in their skins significant levels of resveratrol, a phytochemical. Although most studies below were conducted using the highbush cultivar of blueberries (V. corymbosum), content of polyphenol antioxidants and anthocyanins in lowbush (wild) blueberries (V. angustifolium) exceeds values found in highbush species. At a 2007 symposium on berry health benefits were reports showing consumption of blueberries (and similar berry fruits including cranberries) may alleviate the cognitive decline occurring in Alzheimer's disease and other conditions of aging. A chemical isolated from blueberry leaves can block replication of the hepatitis C virus and might help to delay disease spread in infected individuals. Feeding blueberries to animals lowers brain damage in experimental stroke. Research at Rutgers has also shown that blueberries may help prevent urinary tract infections. Other animal studies found that blueberry consumption lowered cholesterol and total bloodlipid levels, possibly affecting symptoms of heart disease. Additional research showed that blueberry consumption in rats altered glycosaminoglycans which are vascular cell components affecting control of blood pressure. Organic sunflower and pumpkin seeds will provide FiFi with all the energy she needs for summertime endeavors. 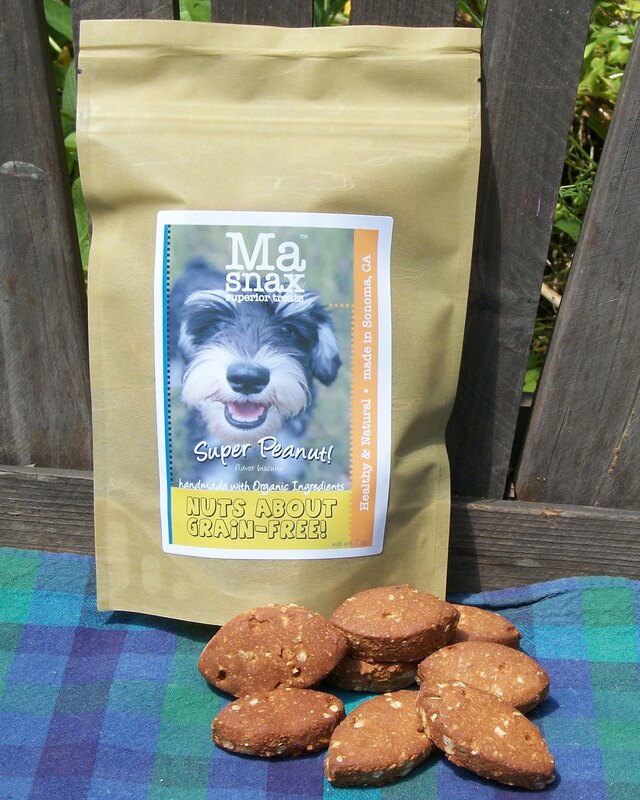 Bring some to the beach or the lake so your swimming, hiking or dock-diving dog can stay fueled. There's really there's no such thing as an Ugly Dog, but you gotta name the contest something, so let's just agree that it's yet another way to celebrate the canine-human relationship and call it a day. This year's champ! 4 year old Chihuahua "Princess Abby"
The chihuahua suffers from severe back and leg problems and has a closed up eye, most likely a result of inbreeding, CBS News reported. "She's a poster child to spay and neuter your pets," celebrity vet Karen "Doc" Halligan said. We were lucky enough to be a small part of this fun annual event held annually at the Sonoma-Marin Fair [we did a little demo in the groovy stage kitchen]. We demonstrated healthy snax by decorating a cake using our Peanut-Double Carob Chip Cake Mix. There ain't nothin' wrong with cake! Ours is super healthy & delicious using only organic people quality ingredients. 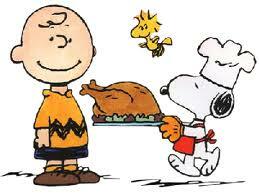 We alike to bam it up by adding something seasonal like fresh grated zucchini, carrots, apples, pumpkin, banana, etc. Sweetened with raw honey...yum. Dogs love it and so did our bi-ped audience! Our friends from Sonoma Humane and Rohnert Park Animal Shelter were on hand with adoptable critters. I do hope they were able to find some loving forever-people for the most adorable dogs they had in tow. I heard that adopting out cats were the big issue these days; just too many of them! 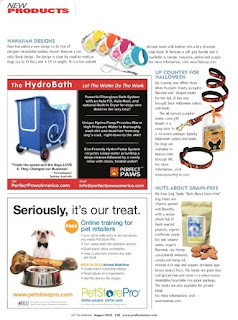 thanks Dog Milk for their most excellent post about us...and they're from NJ! couldn't be better. 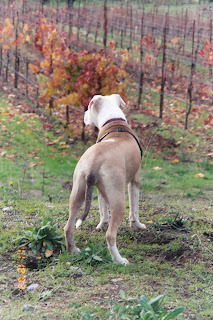 Thanks to Ellen at Paws For Love and to Foppiano Vineyards for putting on a lovely event. It was a scorcher of a day, but the dogs were troopers and had a blast. Everyone relaxed with fine wine and grilled sausages while the dogs created their unique works of art. We set up our little booth at the end of a row among the vines. and all the dogs were happy. All proceeds benefit the Paws for Love Foundation. and how fast you can run the barrel agility course! 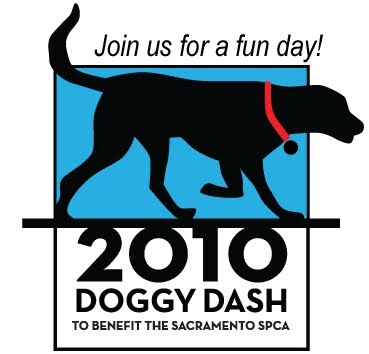 The "Vineyard Barrel Dash", a unique canine agility course, will take place at 3:00, and all dogs are welcome to participate. Your human gets to taste wine and eat grilled sausages, there will be PAW PAINTING with your dog between 11 – 3, and FOPPIANO WINE TASTING throughout the day, with Paws for Love keepsake wineglasses. MaSnax will be on hand to provide tasty dog treats, and art and books for the dog lover will be available from Big Al's Art Gallery, The Painted Dog, and Laura Johnson. We did this event last June and had a very nice time. What's not to like about hanging out in Healdsburg for a few hours! It 'll be a "tail waggin' "good time! 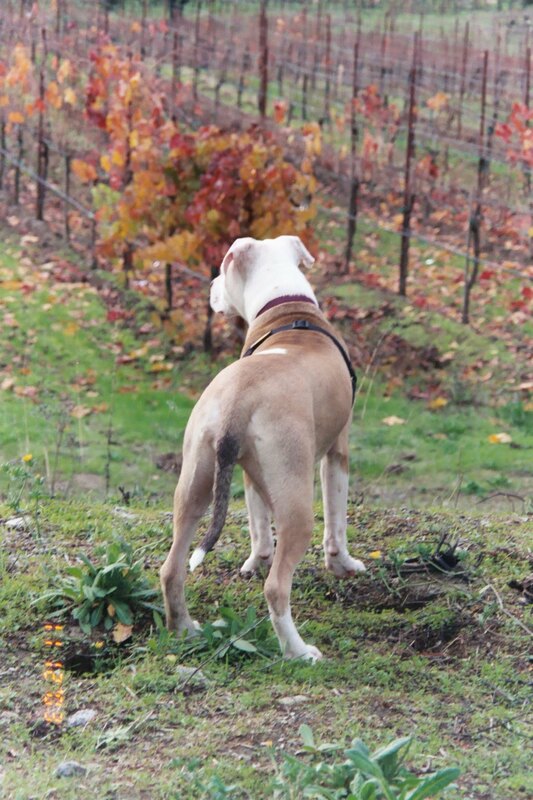 Say hello to a new lifestyle publication serving Northern California's dogs and dog lovers. Inside Bay Area Dog you will find product reviews, travel destinations, health and fitness advice, funny and heartwarming stories, and more, all having one thing in common: dogs. Bay Area Dog will print two issues in 2010, and will be quarterly in 2011, expanding to six times per year in 2012. Bay Area Dog covers the entire Bay Area. Here we are in the very first issue! 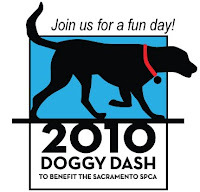 Saturday's event in Sacramento was really great, we were amazed at the high turnout and the SSPCA put on an excellent event. All of the shots are on our FB page profile. Thanks to the SSPCA for a well-organized and promoted event.